A choco-holics dream!! jam-packed full of chocolatey goodness and sure to satisfy even the sweetest tooth. 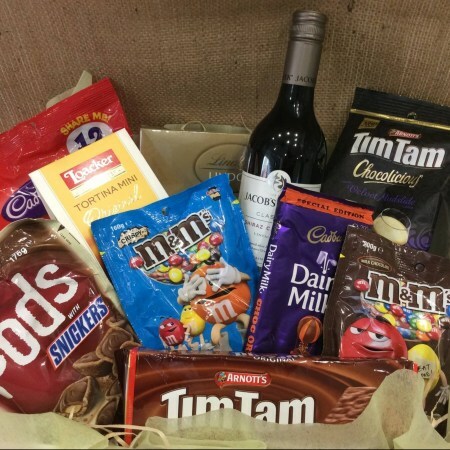 Includes a bottle of Australian Red wine. Deluxe includes more chocolate products. May contain nuts and/or nut traces.